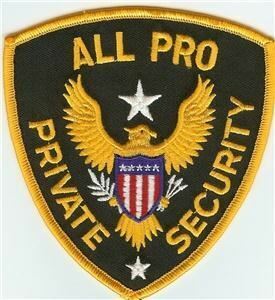 All Pro Security is a professional service organization proudly serving Contra Costa County and the Bay Area. We provide professional, dependable, and experienced security services upheld by 20 years or security management, safety, and security consulting training. The company management team includes a Qualified Manager licensed by the State of California, as well as other security advisors and professionals.